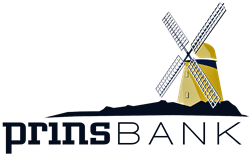 Protecting your privacy is important to the PrinsBank and our employees. We want you to understand what information we collect and how we use it. In order to provide our customers with an array of financial products and services as effectively and conveniently as possible, we use technology to manage and maintain customer information. The following policy serves as a standard for all PrinsBank employees for collection, use, retention, and security of individual customer information. To view our full disclosure, click here. We also take steps to safeguard customer information. We restrict access to your personal and account information to those employees who need to know that information to provide products or services to you. All customer information is considered private and privileged and is to be used solely for the purpose of providing you with the finest service available. We maintain physical, electronic, and procedural safeguards that comply with federal standards to guard your nonpublic personal information. Messages that you send to us by e-mail may not be secure. We recommend that you do not send any confidential information to us by e-mail. If you choose to send any confidential information to us via e-mail, you accept the risk that a third party may intercept this information.